The precise nature of your salad mixture is more art than a science! This family favourite is one of those recipes that you make a couple of times and then have fun adjusting the ingredients according to your particular taste. Combining crispness and tastiness with a bit of chili heat, it provides a light meal that's full of goodness. Chopped chicken salad is very low-carb, even with the drop of honey, and for those of you counting calories - it does well on that score too! 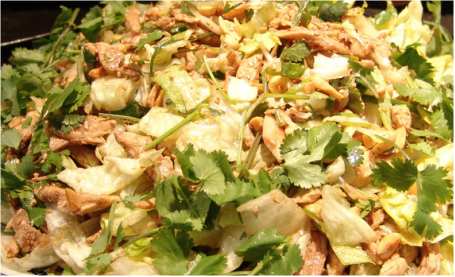 Mix together the vinegar, honey, sesame oil, oil mixture, juice of half a lime and soy sauce. Add in the chopped ginger, garlic, chopped chili pepper and spring onions and let marinate for 15 minutes or longer. 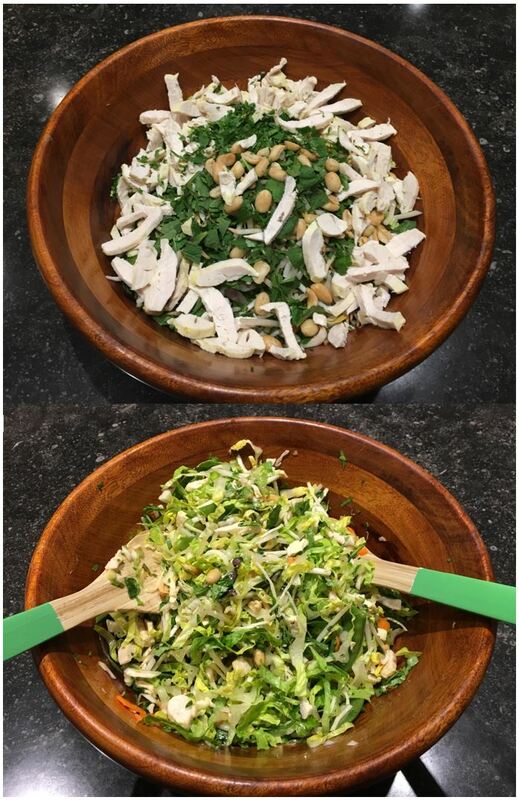 Then you mix the sauce well with the salad ingredients and garnish with chopped cooked chicken - I use left-overs after a roast meal and it works wonderfully - roasted peanuts, fresh coriander, mint and sesame seeds. Prepare all the ingredients and add dressing just before serving.